'Lemon' Aid For Pet Owners Who Purchase 'Bum' Pets? It's emotionally difficult to classify ill, lame or poorly bred dogs and cats as "bum" pets or 'lemons." Those terms are usually used to describe a poorly manufactured automobile, not animals. Yet such is the case with state governments that have found the need to crack down on pet shop owners and breeders who are selling puppies and kittens with serious illnesses and/or defects. The New York state legislature for instance is strengthening it's so-called, "pet-lemon law" as a consumer protection measure for pet purchasers who find out too late about some of these issues, post-purchase. According to a CBS report out of Albany, New York: "The change will give pet owners six months to detect problems, rather than the current 14 days, and aims to put a bite into unscrupulous puppy mills." Additionally, the American Veterinary Medical Association (AVMA) is aware of 20 states in total that now provide legal recourse for these types of cases in the country. Some are even more stringent than New York, where pet purchasers can make claims up to 2 years for pets who unfortunately were born with congenital or hereditary conditions. Common remedies include replacement of the animal, a refund of the purchase price plus taxes, and/or reimbursement of veterinary expenses, generally up to the purchase price of the animal. Disreputable pet shop owners have even been known to resell returned pets with illnesses. 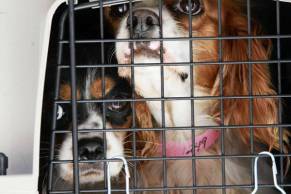 The Northeast Regional Society for the Prevention of Cruelty to Animals says it has witnessed returned animals that are again put up for sale. Measures, like the pet lemon laws, take direct aim at trying to shut down the stores that continue with these types of practices, while helping reputable breeders and pet stores thrive. By fining those who sell sick animals, the legislation sends a clear message to pet shops that the government is working to make sure they operate in a humane and proper way and that those who deal in the commercial sale of sick or maltreated animals will not be tolerated. So, while labeling one's dog or cat a 'lemon' or 'bum' pet is unfortunate terminology, hopefully these legal entreaties will work towards forcing breeders and shop owners to become more conscientious in the methods they practice in bringing more animal life into this world.